ECS offers a comprehensive range of computer aided engineering services based on the segments for Automotive as well as General Engineering. For Automotive sector, we have expertise in the area of Crash, NVH & Strength Analysis. We have hands of experience on the simulations for high speed impacts as per different regulations viz. US-NCAP and Euro-Ncap. 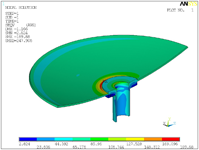 We have also successfully executed the FE modelling of the complete Bus model and carried out the Bus Roll over analysis. Static analysis of the structure. Modal Analysis to calculate the natural frequencies. 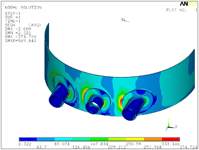 Transient / Thermal analysis of the heat exchanger.. Couple field Analysis for the vessels. Transmission loss in the muffler.